There has been a lot of hype and negativity surrounding this game ever since the first trailer. Some thought the idea of a dark Sonic game would mark the return of Sonic 06 (Great game btw) while others thought it could finally be the next big Sonic Adventure title. For me, this was a good sign because the plot heavy Sonic games of the GameCube era were amazing. While Sonic Forces is a great game, it’s not quite as downright amazing as I had expected. A few areas hold it back from that. The story starts off with a bang as Sonic heads to the city to help the others take down Eggman as per usual. Instead, he is greeted by all of his old foes and a new one known as Infinite. They defeat and presumably destroy him. A level or two later you find out that Sonic is alive and has been kept prisoner for the last few months. Classic Sonic also shows up from a portal to help out. Meanwhile, Terry (The name of my avatar) has decided to realize his potential as the ultimate life form. He frees Sonic and basically leads the charge against Infinite. Can the heroes defeat this opponent who effectively seems unbeatable? Aside from the main story we also have a 3 level Shadow The Hedgehog prologue. It’s pretty fun as we see Shadow head off to help Omega fight Infinite. We also learn Infinite’s origin story. It’s very short since there are only 3 levels and they are pretty fun since playing as Shadow is always great. That being said, after playing the main game it can seem a little lazy. They reuse at least one of the levels from the main story as well as the final cutscene. There also aren’t any boss battles to be found here. It’s extra content and context for the story so I can’t complain about it too much but the story aspect also doesn’t make sense. Many spoilers on the story will follow from here so skip the next 7 paragraphs if you haven’t played the game yet. Shadow is talking to Rouge towards the end of hiss prologue and she tells him not to bother going to help Sonic since he has the situation under control. That’s fine. 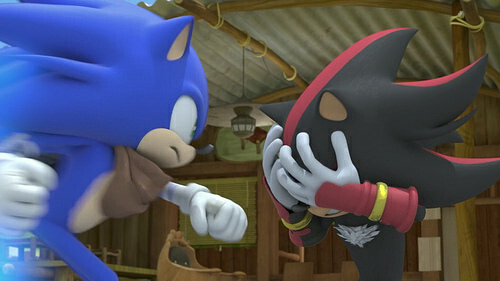 Then she tells him to forget that because the situation has changed and Sonic is up against a squadron of lethal foes. The cutscene ends here and presumably Shadow dashed off to help. Despite this, in the main story he doesn’t show up until months after this event as he helps Sonic against a fake Shadow. Why did he not make it in time with his speed? At the very least he should have been informing the team about Infinite and had a more active role in the story. I feel like with his prologue they created it after the story so they were stuck by that point. The main story is also a little…strange. It’s not like there are a bunch of plot holes or anything but the random time skips have you feel like the game is on fast forward. For example, Sonic loses and suddenly 3 months past. Why does everyone immediately assume he is dead? Why did it take 3 months for anyone to do something about it? The characters act like Tails has gone crazy or cracked since Sonic left but he seems perfectly okay to me. Classic Sonic popping up was also one of the most random moments in the game. He doesn’t have any real reason to be here and while I don’t mind crossovers for the sake of crossovers, I feel like he doesn’t even look that good. He clearly has no idea what is even happening and just goes after Eggman like it’s the good ole days. If they could have squeezed in a fight with Infinite that would have been awesome. Otherwise it’s really just a waste. A cool part of the story was when Silver fought Infinite. Now that was a really cool battle and it’s a fight that was always fun to think about. Silver got wrecked of course but it was a cool visual. Of course for every positive, there is another limitation that pops up. The fights in the game are all made up of a singe homing attack of a bump. At the end of the game we get to see everyone taking on the army of Sonic villains and Shadow is just swerving from side to side and somehow he is knocking his opponents out with his hips or something. Keep in mind that these clones are supposed to be as strong as the real ones and yet, Shadow beat his clone in a single hit. I think the writers just added that line to add some drama and suspense but it didn’t make sense. I think the first moment I knew something was wrong was when Chaos got one shotted by classic Sonic. Not only is this disgraceful to Sonic DX fans, but it was a perfect chance for a boss fight. The fact that they didn’t do so was rather alarming. Then the same thing happened with Shadow as mentioned above. It gets to the heart of the issue which is that Sonic Forces’ story feels like clickbait at times. You’re waiting for something really awesome to happen and then it never does. The only clone who really got a good role was Zavok since at least he got some hype lines and talked a good game. I would have been pretty upset if he had actually defeated Sonic though. I just wouldn’t be able to wrap my head around that. Another example of this is at the end when you beat Infinite. He starts yelling about how he can’t be defeated and flies off….never to be seen again. Yes, there could be a post game mission to solve that, but I wanted him to show up in the main story. Why did we not get Super Sonic? He should be a staple in the series and yet he hasn’t made the cut lately. I thought for sure that he would show up here since Infinite was so powerful. Another very odd moment was when they said that Eggman had been torturing Sonic for months. That came out of nowhere and was there purely for edge. Sonic still makes one liners and walks out of his cell like it was nothing. It’s cool that Sonic never lets things get to him, but the torturing reference should have been cut out, especially since the game barely acknowledges that it even happened. Another weird moment is when Eggman has Infinite hit Sonic with a new Null weapon which will trap him inside of an indestructible void. Sonic…then breaks out so fast that it’s not even a level. It’s practically back to back cutscenes where he’s out instantly. It hints even further that a big chunk of the game was simply cut out. 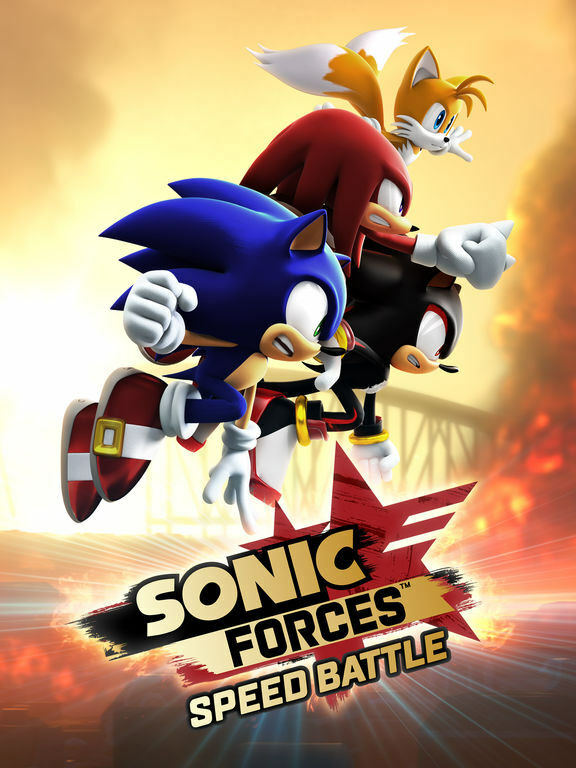 I feel fairly confident that this isn’t the original Sonic Forces that we were supposed to be getting. Lets talk about the Avatar. Terry is legitimately amazing. I gave him a really cool design so he looks like an evil Sonic. He takes charge of the situation and even holds his own against Infinite. The cutscene where he stands his ground is handled excellently as well as his quick save towards the end of the game. He’s a great character and while it may be a little cheesy with how he is the chosen one and all…I could get behind it. Pro tip, don’t switch away from his flamethrower. You can beat levels really quickly with that one although the whip isn’t bad. Infinite is also really cool, but admittedly not as great as he could have been. I felt like his origin story was actually made after people started making fun of him. He basically gets wrecked by Shadow and starts trembling. He tries to psych himself up by yelling about the whole thing, but it doesn’t work and Eggman kidnaps him later on to give him the new power. With it Infinite talks a good game and has a great voice so I can get behind that. All of his lines are quite awesome as well. The origin story could just have been better, but I’m glad we got to see a glimpse of his old self. Surprisingly we didn’t see that in the main story, but budget cuts and all that. I hope he appears again someday because the character has a lot of potential. We just should have seen a fight between him and the Super Hedgehogs. Maybe the Shadow vs Infinite battle since they teased it in the prologue and the two have a history. It makes no sense why Infinite wouldn’t fight him. Of course, it makes no sense why he would let Sonic live every time aside from plot convenience as well. There are 3 gameplay styles in the game. Lets start with the best one, Modern Sonic. The levels are really awesome and you’re always moving at a high speed. I actually really like the boost mechanic since it feels good to actually enjoy using the speed that Sonic is famous for. The levels are unfortunately a little on the short side as a result and you can finish basically all of them in under 2 minutes. There are some annoying traps where a hole will suddenly pop up thanks to spotty level design but it’s not enough to really hurt the style. That’s why we need another fast Sonic game without a gimmick. No Werehog, No Wisps, No Classic Sonic. I just want a 3D Sonic game where you can zoom from start to finish the whole time and enjoy yourself along the way. Then there is the Avatar levels. They’re actually quite good and are basically what people would have wanted Sonic Boom’s gameplay to be like. He still feels like you’re playing as Modern Sonic half the time, but you also get a weapon now. The controls are pretty smooth unless you’re using the thunder wisp in which case you’re doomed. Using your grappling hook is always very satisfying and it’s just handled great all around. It’s another reason why I am ultimately glad the character made it into the game. If his inclusion is the reason why the rest of the game suffered then I’ll take that back, but otherwise I am all for it. Unfortunately there was one gameplay style which did not work. That would be Classic Sonic and he is the only character where I would actually get disappointed if I saw his level coming up. Whoever added on his gameplay style did so at the last second as it isn’t polished at all. The controls are slippery and the levels aren’t all that fun. You can’t go fast because you’ll just fall and you’re left wondering for the 100th time why he is in this game. He just should not have been here and you can tell that the developers didn’t care by this point. To point out some more laziness on the game’s part…they reuse boss battles. Yes, you heard that right. One big example that is impossible not to notice is Metal Sonic and Infinite. Both of them are the same boss fight and they simply recolored Metal Sonic to make him look like Infinite. It’s why Infinite also looks huge during the whole boss fight for no real reason. The game also reuses level designs throughout under the guise of Classic and Modern as well as the Avatar. Honestly this just doesn’t feel like a AAA game would would be double at the most. It explains the reduced price, but I fully expected and wanted my Sonic game to be as high budget as it can get. As expected the graphics are really solid. The colors may not be as striking as Adventure 2 Battle but it has some pretty solid moments. Any scene with Infinite usually has a pretty good color palette. I don’t think the game looks as good as it could have, but I still can’t really complain about it either. It’s at a high enough level where I am definitely still satisfied. The soundtrack is also really solid as we get a bunch of remixes and lyrical songs. Not all of the lyrical songs are a hit, but most of them are. There are definitely a lot of up beat ones in there and the intense Infinite theme also shows up. Unfortunately, whoever was in charge of the sound didn’t really do a great job as the effects will often drown out the actual music. This can be pretty unfortunate when you want to hear the tune but can’t focus on it with all the background noise. Well, the main area that does hurt the game somewhat is it’s lack of replay value. The main story isn’t very long as it is so not having a multiplayer mode doesn’t do it any favors either. You can get all of the S ranks and clothes for your avatar but if you actually try that shouldn’t take very long either. That’s because there is a new system involving daily missions. Essentially you clear the mission and unlock a score boost which makes it easier to get S ranks. I don’t even know what you get for obtaining them all but hopefully it’s something epic. Grab your Platinum Trophy on the way back of course. I could go on for quite a while, but lets get this into perspective. 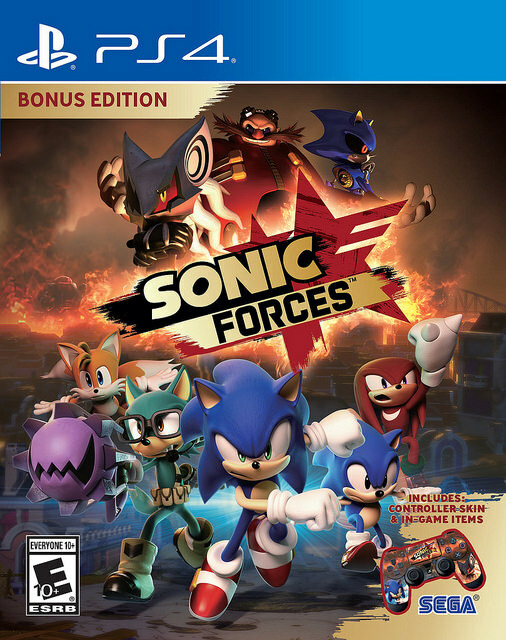 Sonic Forces is still a great game of course. The gameplay is tight and the technical aspects are on point. The story is awesome and epic even if it feels like someone cut out 80% of the game to speed things up. There are a number of weaknesses, but many of them are only so large because I’m a big Sonic fan. It also couldn’t have had many of these negatives if it had chosen to go with a retro plot of Sonic simply stopping Eggman with no real cutscenes throughout and then we wouldn’t have expected so much out of it. The main menu interfaces are really clean and sleek. They’re some of the best out there and Sonic always sets a high bar for this. The game feels modern in many ways like that. You just won’t be playing it for a long time compared to the average game. Overall, Sonic Forces is better in concept than in the execution. It’s just a little too short and you can’t help but think that it got rushed out of the gate or was given low priority for some reason. There were so many reasons why this game should have been just about perfect which is why it is disappointing that the game didn’t live up to its potential. It’s still a great game so at least it’s not like Star Fox Zero or anything. It’s a small consolation at least. Infinite and the Avatar were good additions to the cast. 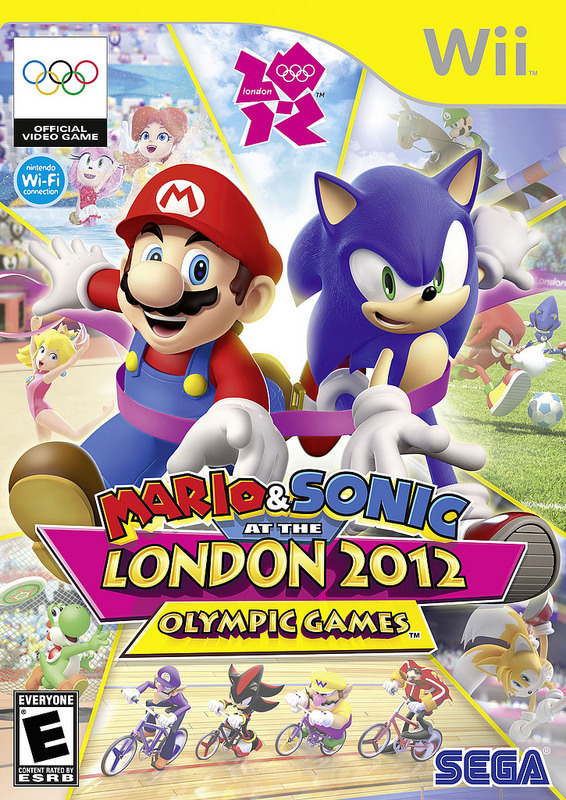 Maybe Sega will take another shot at this game in the future and get it perfect this time around. I’ll still hold out a lot of hope for the next Sonic game and I eagerly await seeing what Sega will do from here with the 3D titles. 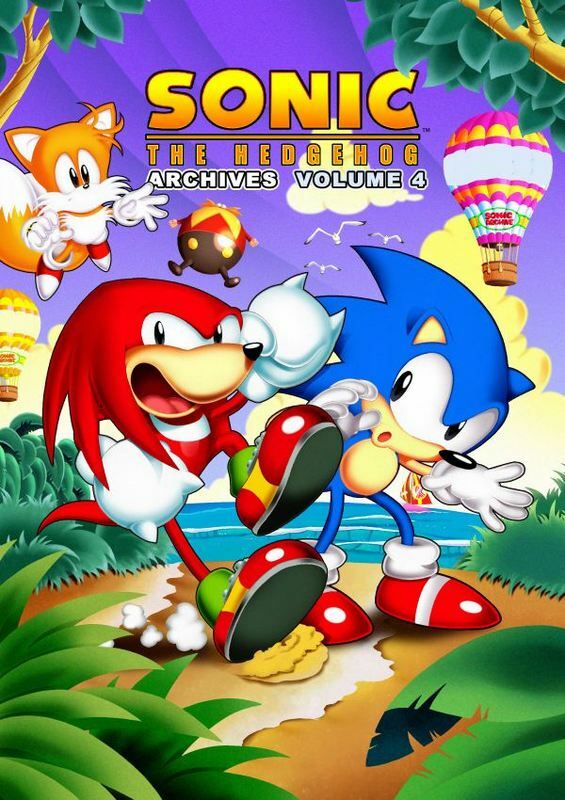 It’s been about half a year so it’s time to look at the next volume of the Sonic archives! In this collection, good ole Knuckles joins the fray. I always liked his first appearance in the Sonic games and the comic is fairly faithful to the original events while adding that Archie humor that we all know and love. As always, this makes for a fun Sonic collection and you’ll certainly enjoy checking out the various stories. The big story is naturally the one that involves Knuckles. 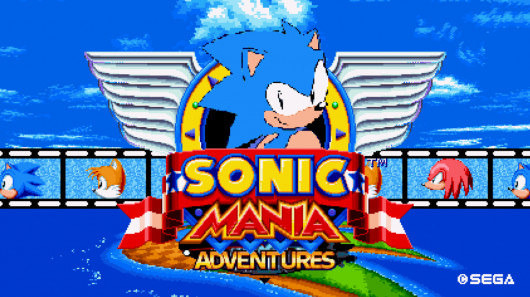 Sonic and Tails land in a new island and Knuckles keeps trying to destroy them to keep his Chaos Emerald safe. Little does he know that Eggman is playing him for the sap! A short story has Bunny and Sally prove to Eggman that girls can fight just as well as boys and even better as they beat him up. Another short story has Sonic make the ultimate sacrifice of jumping into the mud to save an animal. As for the other big stories, one of them had Sonic get kidnapped by Eggman along with the other Freedom Fighters and locked into a Virtual Reality simulator. Sonic wouldn’t have any of that and admitted that the real world is tougher, but still the best. Another entertaining comic was when Tails became a super genius and it corrupted him. He wanted to be the leader of the Freedom Fighters and attacked Eggman, but it was a doomed plan. Eggman is simply too powerful when surrounded by his robots. Tails was really good in that issue and I liked his evil form. It would be cool to see it return. We also can’t forget about Sonic’s three gems of power. They gave him incredible abilities to use against Eggman, which was cool. Naturally, this is just the tip of the iceberg as far as the comics go. It’s a pretty short collection. The Knuckles comic is really the big one, but there are 1-2 other big two part adventures and then a lot of one shot stories. It may sound like there are a bunch of stories, but many of them are only a few pages long, which is why it still makes for a very quick read. It’s safe to say that Eggman underestimated Sonic and his friends. The Freedom Fighters are a threat to any villain as long as Sonic is around and even without him, Bunny and Sally proved to be more than a match for the evil genius. This was back during the days where Eggman had no tough allies to help him. It’s hard to believe that there were days when Metal Sonic wasn’t around to help very often right? Naturally, the art is good and flows quite well with the stories. The designs have aged well although it’s safe to say that all of the modern looks are better than their old counterparts. Tails being brown just seems odd at this point and a chubby Sonic? We’re not exactly in the Mushroom Kingdom are we!? A part of me misses this Eggman look as well, but I’m still glad that we ended up getting the sleek re design from the modern games. That Eggman looks like a more formidable fighter while this guy was typically a pushover. Sonic is still the main highlight of the comics as he always steals the show. As the comedy angle was played up more than in the modern issues, Sonic got a lot of crazy feats back in the day. This comic is no exception as Sonic moves so fast that he can dodge all of the raindrops on a rainy day to stay dry. That ends up being one of the mini comics and it’s an even more impressive feat than you may think. See, someone like the Flash can do this by simply going fast enough so that the air just nullifies the raindrops that get close to him or phasing through him, but that’s not what Sonic is doing. He’s simply dodging them all at super speed and if you’re ever been outside during a downpour, you’ll know that this is clearly impossible. Sonic is so fast that he’s essentially throwing away your reality and replacing it with his own. his speed defies logic and understanding, which is why he’s still one of the fastest characters of all time. Knuckles got tricked into thinking that Sonic is a villain like usual, but at least he saw the light and helped Sonic take down Eggman. 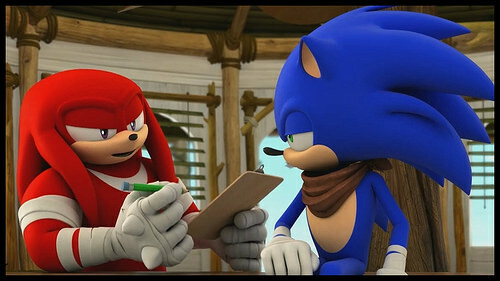 Knuckles isn’t the sharpest tool in the shed, but he means well and he was a likable supporting character here. It was fun to see the iconic character make his debut. This was back during the days where Tails wanted to prove himself fairly often so he doesn’t look quite as good. The comic where he turned into a genius was certainly enjoyable though and Tails definitely isn’t a bad character. 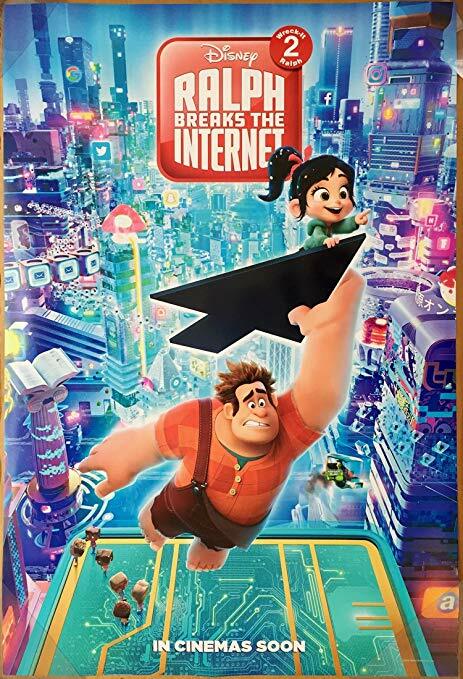 I don’t think that I’d say that any of the characters were bad. It’s one of the reasons why the Sonic series has been so much fun. Even if some characters barely register for me, they typically won’t be downright unlikable although that will certainly happen at some point. The other Freedom Fighters are around, but don’t get to do a whole lot. Bunny and Sally had their fight against Eggman, which was neat. Antoine is still the punchline for all of the jokes and you feel bad for him, but at least he never seems to notice or forgets the insults very quickly. He’s definitely one of the more entertaining characters in the series even if nobody ever takes him seriously. It’s similar to Eggman. I love this version of Eggman, but he didn’t get much to do this time. In previous comics, he literally broke his robots while having a tantrum and put one in the shredder. That was an awesome and iconic moment so it’s tough to top. He didn’t get too many burns or big moments here, but I suppose that he will have his time to shine soon. This was before the modern days with Shadow and more of a plot based storyline, but the issues still hold up well. Sonic has always been able to succeed in whatever medium or style he has wanted too. 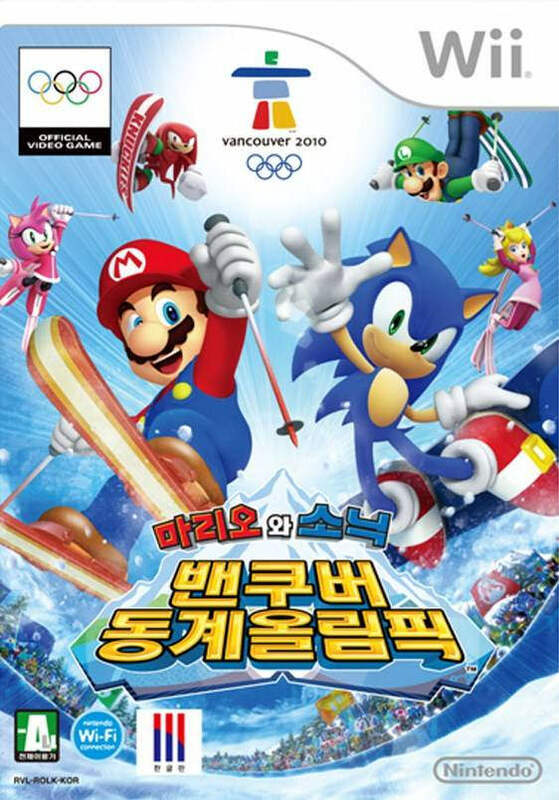 The Sonic franchise has had successful video games in the 2-D Platformer, Racing, Fighting, 3-D Platformer, and Party game genres. He had successful TV shows in the comedy and action genres and the comics have ranged from light and happy to cheerfully dark. It’s no exaggeration to say that Sonic is one of the greatest franchises of all time and he’s not going anywhere. I’ll be checking out the next Sonic archives soon so be on the lookout for it. Overall, I definitely recommend this collection. Whether you are already a fan of Sonic or not, the humor is very well written and the comics will go by in a flash. All of the characters are good and the smooth art really completes the package. There’s really nothing to dislike about the comic and you’ll just wish that it was a little longer. Sonic has been a consistently good comic series for decades at this point and I am confident that it will continue to be one of the best comic books out there. I’m still looking forward to checking out the two crossovers with Mega Man at some point although there should be a lot of plot hax around there.